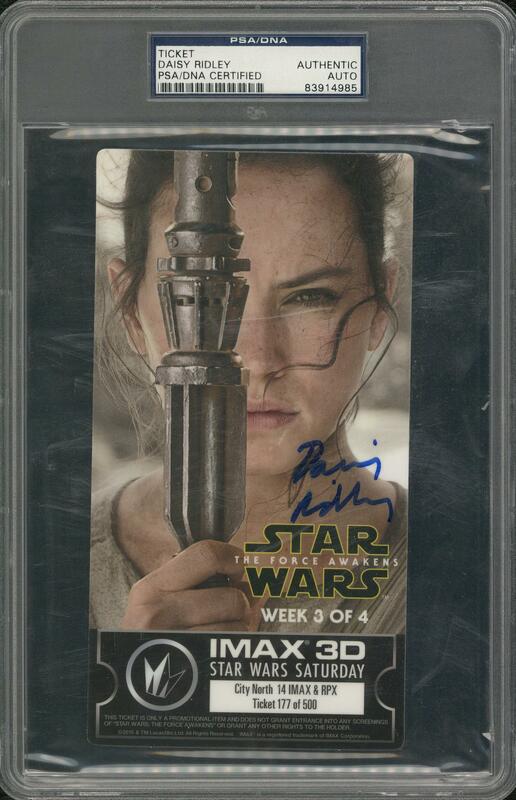 Star Wars star Daisy Ridley has signed this IMAX 3D ticket to Star Wars: The Force Awakens. 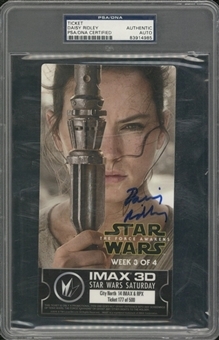 Ridley, who plays the heroine Rey in the new trilogy, has signed this ticket in blue marker. The ticket shows Ridley holding a lightsaber that obscures the right side of her face. This ticket has been encapsulated and authenticated by PSA/DNA (83914985).